Anybody dressing up as an NPS ranger today? Didn’t think so. Have a happy and safe Halloween and enjoy all the Fun Size candy you get to eat (or have already eaten) this week. Save me the Krackel. “There is more trash, more impact on the water sources and fires have really adversely affected the trail in the 19 years I’ve been on it, particularly in the last 10 years,” Williamson said. “The trail, especially this first 700 miles through Southern California, is radically different due to fire and tree disease. There are stretches that used to be pine forest that now are just chaparral because the trees died due to different diseases or fire. The first 700 miles of the trail are now shadeless. 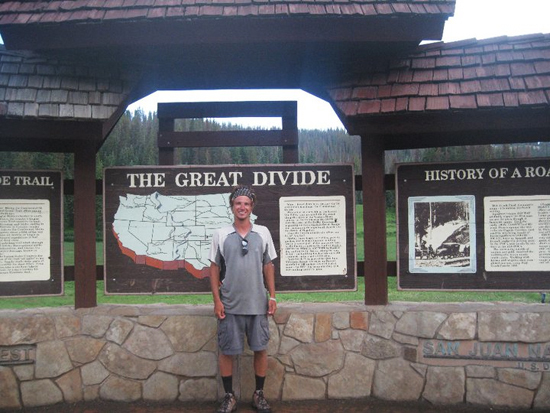 “The positive changes are that, since there now are about 500 plus people thru-hiking it each year, the preservation and maintenance of the trail is exponentially greater than when I first started hiking this trail,” he added. 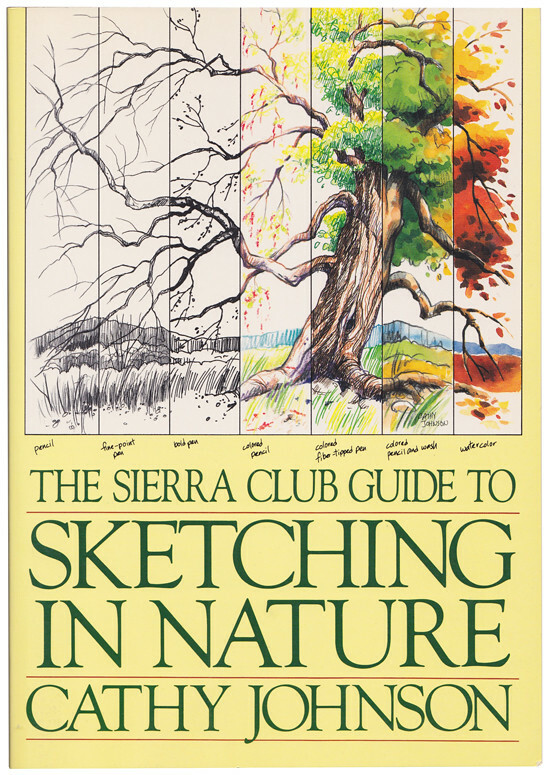 Field Illustrator Cathy Johnson wrote and illustrated a book for the Sierra Club in 1990 titled Sketching in Nature. In researching Johnson’s work a bit more, I happened across her huge archive of work on flickr and had to share. Incredible detail with very minimal marks, it’s hard not to love the attention she pays to design and text on each hand-bound sketchbook page. 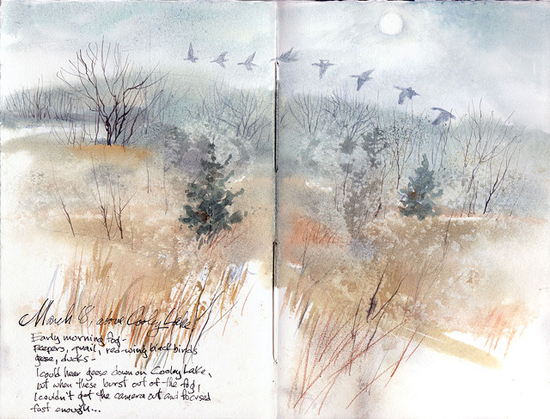 Littered throughout her flickr are photos of her repurposed mini watercolor “field boxes” for work outdoors. It’s amazing to see how she curates what materials to bring to each spot. In one of the most important decisions for public lands in decades, a federal court ruled Friday that the Clinton administration 2001 national forest roadless rule is legal and should be implemented immediately. The state of Wyoming and others charged that the rule, which bans new roads, timber harvesting, and upgrading of existing roads in almost one-third of national forest lands, violated federal environmental regulations and created de facto wilderness, but the 10th Circuit Court of Appeals sweepingly rejected that in a unanimous decision. For more on the story, click here, and don’t forget to check back towards the end of the week for the continuation of Cold Splinters’ Trail Mix featuring Steve Casimiro of Adventure Journal. Humina Humina. Archival Clothing for Wilderness Workshop. Can’t miss em as you walk on downstairs. (See post below). Cold Splinters is in Boston today, hanging out with the folks from Danner and Wilderness Workshop. Come on down if you want to drink some Sierra Nevada and eat pie and donuts. And really, who wouldn’t want to do that? After a long, wet, and muddy day on a New Hampshire section of the AT this last weekend, eating Mexican-ish pumpkin soup in a dry lean-to was a great way to end the hike. Happy fall travels, y’all. Cut up your onion and throw it in the pot with water. Bring the water to a boil, drop in your bouillon and stir. Add your pumpkin, green chiles, corn, black beans and let simmer for a few minutes, adding water if you like it a little thinner. Take it off the heat, stir in your cilantro and pour it into your bowl. Top with Corn Nuts and dive in. Will feed two hungry hikers. This past Saturday Nate Damm wrapped up his 7+ month walk across America, taking the ceremonious final steps into the Pacific at Ocean Beach in San Francisco. 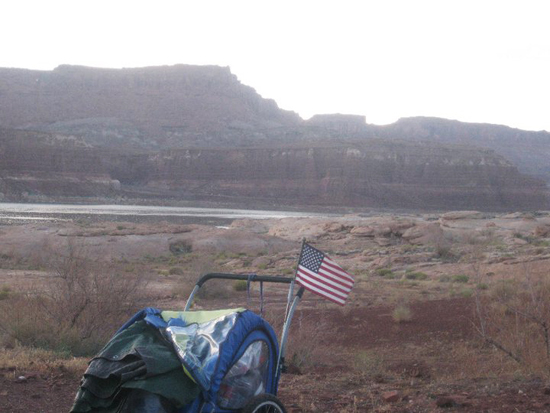 Nate walked lonely roads and highways mostly alone from Delaware, pushing his gear in a jogging stroller. He kept a blog during the trip, and maintained a facebook page with some great photos, videos and anecdotes along the way. In honor of the 20 or so hours that is the Europe ’72 box set, currently being blasted in CS Headquarters, here’s Pigpen doing “Chinatown Shuffle” from their first night in Copenhagen.